In this video I talk to two lecturers at City who have used iTunes U to publish recordings of their lectures to their students and to the public. Dr Dave O’Brien lectures on the MA Programme in the Centre for Cultural Policy and Management, and is currently acting Senior Tutor for Research at the Centre. Professor Keith Pilbeam is Director of the MSc Business Economics/International Business Economics in the department of Economics. Dr O’Brien began self-recording his lectures for Contemporary UK Cultural Policy, a module for postgraduate students, in the Spring term 2012. 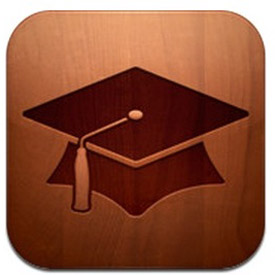 He contacted the Education Support Team to find out about using iTunes U to publish them. Professor Pilbeam also contacted us in order to record his lectures on Introduction to Macroeconomics, a core first-year undergraduate module. Both lecturers have seen impressive usage statistics for their podcast series, and suggested that publishing their lectures had not only benefitted their students, but freed up some class time for questions, or reduced their own workload. You can hear more about their experience in the video. Download Dr O’Brien’s podcast series on iTunes U or as an RSS feed. Download Professor Pilbeam’s podcast series on iTunes U or as an RSS feed.